There is a movement happening in America’s cities. A movement of people who map edible trees in their neighborhoods and eat weeds growing from cracks in the sidewalk. These people can be heard in the tap rooms of microbreweries using words like ‘Araucana’ and ‘Rhode Island Red.’ There are sourdough starters in fridges and worm bins under sinks. The more adventurous of this movement are thinking of ways to treat their bodily waste as a resource. 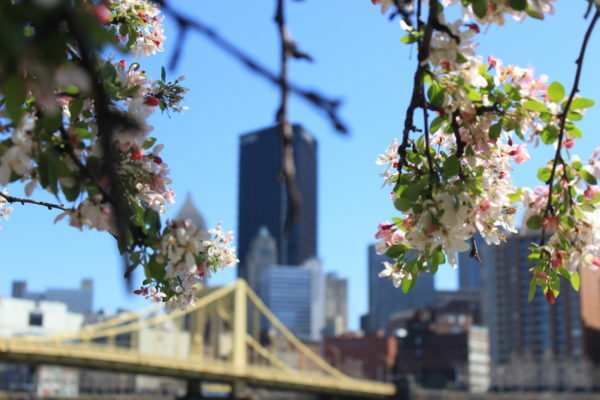 There is a movement in cities of people growing their own food. It is a movement of the urban homestead. People start urban homesteads for different reasons. Some over concerns for the source of their food. They question the organic label and fear GMO’s. Others love the earth so deeply and want to remove themselves from supporting systems that harm it. Others fear nuclear war, economic collapse or zombies. These people are as comfortable transplanting kale as they are cleaning an AR-15. Urban homesteading is an affirmation of the simple pleasures of life. When you spend a Saturday morning making a loaf of bread, or go out on a summer evening after work to sit with your chickens, or take a deep breath of fresh-cut basil, you unplug yourself from the madness. Many of us spend a lot of each day in front of a computer. 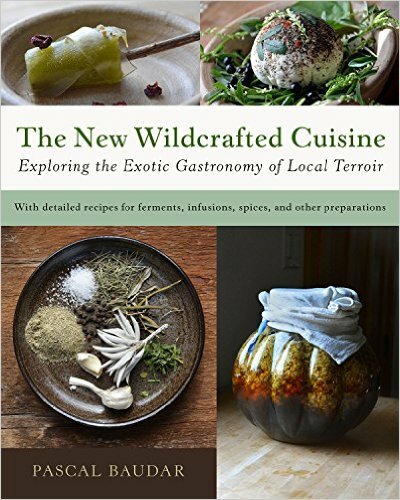 Homesteading hooks us into the natural world and the passing of the seasons, and reminds us of our place within the greater cycle of life (17). 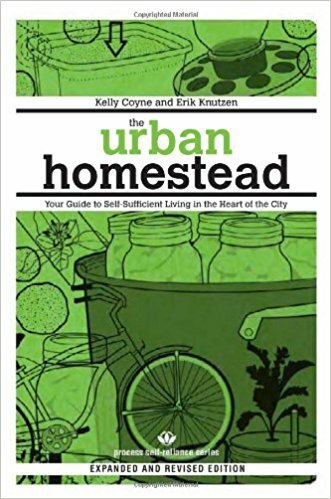 Years ago, when I first read The Urban Homestead, I was interested in the idea of urban homesteading but ignorant of what the pioneers of the movement were doing. This is the book that opened me to the ingenious solutions urban dwellers were applying to the challenge of living low-tech in the city. The first project I tackled from this book was a self watering container. I made it from two five gallon buckets I found behind a donut shop (they had previously held jelly filling). In it I grew a spicy globe bush basil that thrived for years on neglect. I was hooked. The authors, Kelly Coyne and Erik Knutzen, live in a small house in the Echo Park neighborhood of Los Angeles. The ideas in the book come from their own experiences, experiments and passion to live more closely with earth’s natural cycles. The Urban Homestead includes directions on how to grow and preserve food, build rain barrels and composting toilets, cook with solar ovens and rocket stoves, clean without toxins and urban forage. The reasons behind the projects are presented in a way that inspires and never condemns. 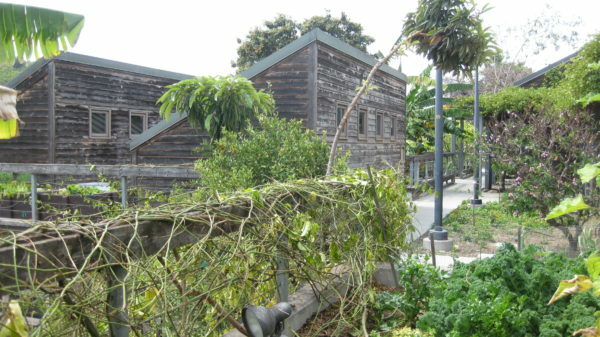 Implementing the ideas in The Urban Homestead creates a home and yard that looks far different from the groomed landscapes in Sunset magazine. However, these solutions carry their own beauty in their seasonality, simplicity and creativity. Get more homesteading tips from the couple by following their blog, Root Simple.